TRUCKLOAD SALE Saturday-Sunday-Monday from 10 am – 6 pm. All new PREMIUM BEDROOM SETS will be deeply discounted from typical retail store pricing. 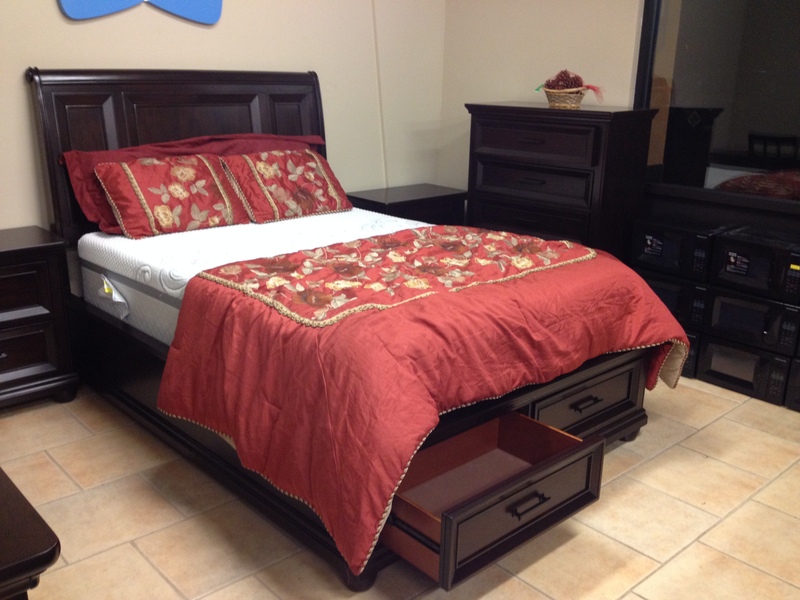 Complete sets – including (2) Nightstands, Dresser, Mirror, Chest of Drawers, & YOUR CHOICE of a Queen or King Bed – starting below $2,000. 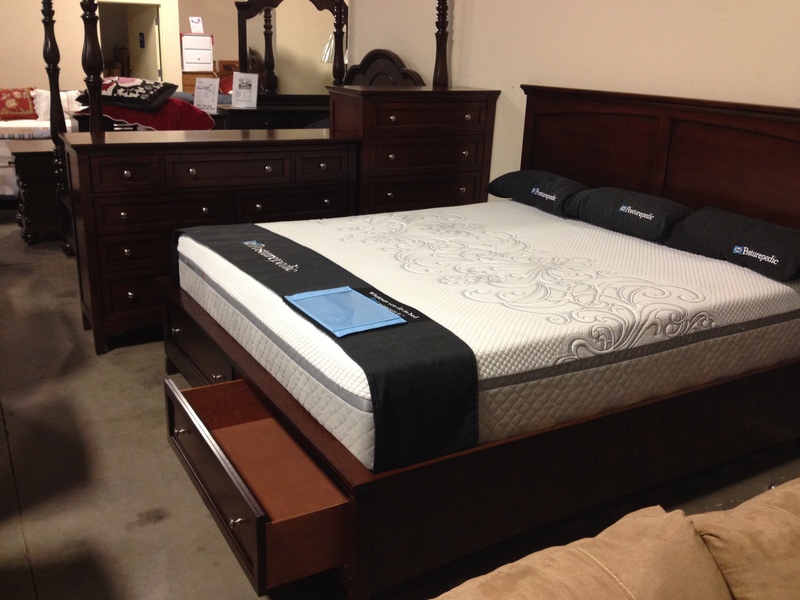 Starter Sets as low as $399 for a Headboard, Footboard, Rails, New Mattress Set, & Nightstand. Bring a truck and take your new stuff home or we can arrange for delivery and set-up. This set features deep drawers on roller-glides and felt lining in the top drawers. Big picture frame drawer fronts give this set a look of elegance. Case goods for this set feature numerous over-sized drawers, polished button pulls and framed cabinet drawer fascia.